Frigid temperatures or a snow-covered hood can result in a battery in your vehicle that doesn’t provide the energy that is needed for starting or proper operation. If you notice your headlights dimming while you’re driving or your vehicle not starting as quickly as it normally does, then consider getting Road Runner Auto Care in Apple Valley to check your battery to see if it should be changed. Make sure you have a pair of jumping cables in your vehicle at all times in the event that you’re out and your car won’t start. If possible, keep a tarp or a warm cloth on the hood of your vehicle when the temperature is expected to be below freezing or if it’s expected to snow. As soon as the temperatures begin to get colder, take your vehicle to have all of the electrical components checked by Road Runner Auto Care in Apple Valley. 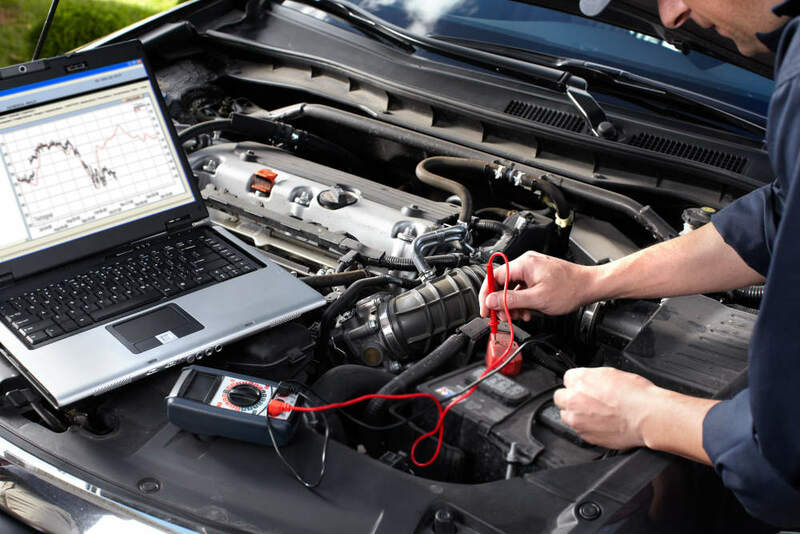 Since the battery and alternator work together to operate your vehicle, these are two important components that need to be examined along with your starter. Purchase the best battery for the cold season. It should be one that is of a brand that’s trusted and that offers a warranty in case you need to take it back. Clean the terminals on your battery to ensure that the cables get the best connection possible. Road Runner Auto Care in Apple Valley can clean any corrosion from your terminals and the cables, changing the cables if there is any concern with the connection. Avoid starting your vehicle and driving off right away. 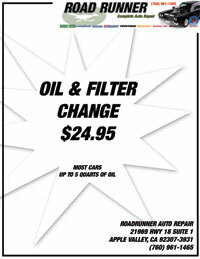 Your vehicle needs time for the electrical components to get the rest of the car in running order and for the oil and other fluids to properly circulate through before you leave to get out on the road.